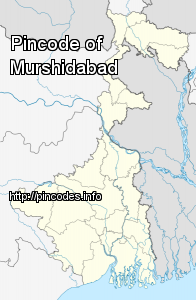 The District Of Murshidabad has an area of 2143 sq. m. It is divided into two nearly equal portions by the Bhagirathi, the ancient channel of the Ganges. The tract to the west, known as the Rarh, consists of hard clay and nodular limestone. The general level is high, but interspersed with marshes and seamed by hill torrents. The Bagri or eastern half belongs to alluvial plains of eastern Bengal. There are few permanent swamps; but the whole country is low-lying, and liable to annual inundation. In the north-west are a few small detached hillocks, said to be of basaltic formation. The incident took place when the bus carrying 50 passengers, enroute to Malda district, fell into a deep canal in the wee hours of Monday.